The XL(amp) was initially designed to mark the edge of a fair booth and simultaneously present images on the inside. The lamp shade foil is foldable. This allows for easy transport and makes it possible to cover the lamp with a photo film. 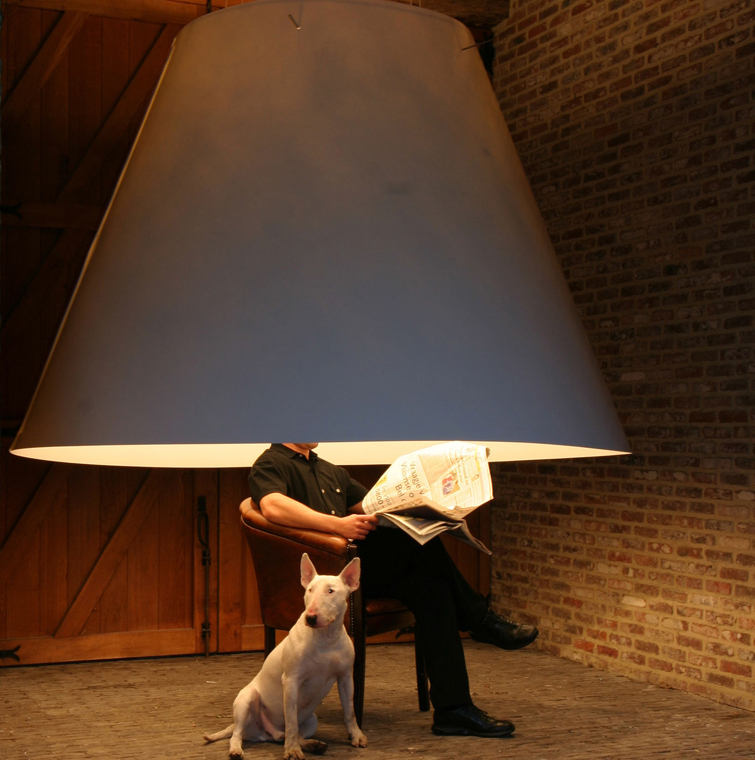 The lamp, by virtue of its size, defines its own space.